Blanching brings out the layers of delicate tastes in fresh asparagus. 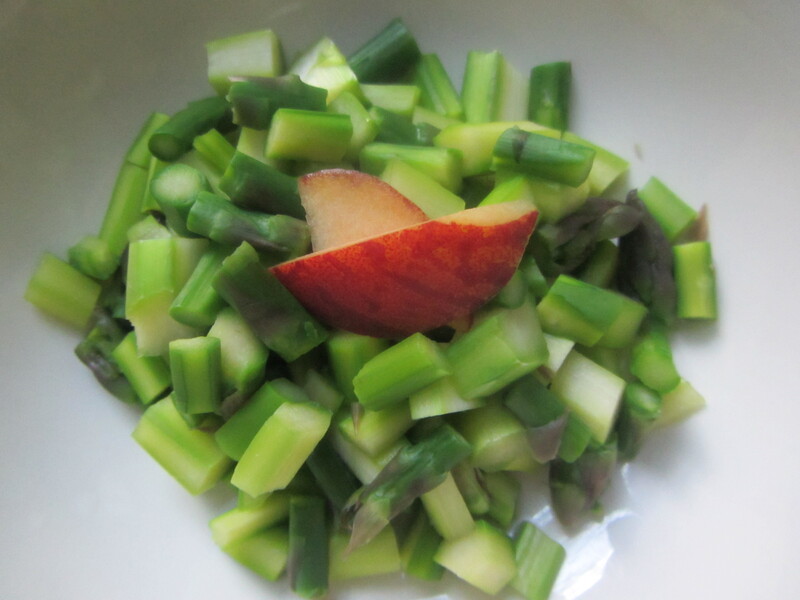 Here, the asparagus is chopped and topped with slices of a sweet, firm, juicy peach. Process Peel the outer layer of skin from the asparagus. Wash them well by immersing them in water. 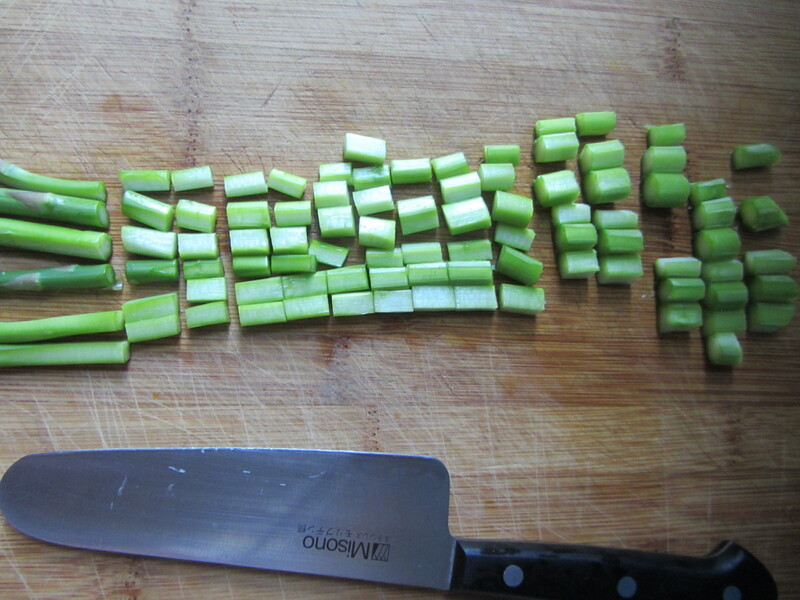 Chop them into inch-long pieces. Use a deep stainless steel skillet and fill it ¾ to the top with water. Add a pinch of sea salt and bring to a boil. 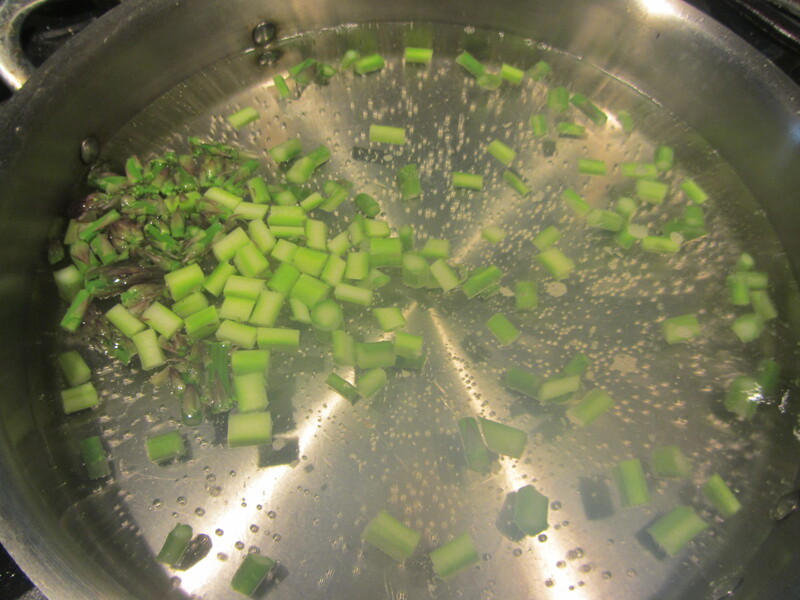 Drop the asparagus pieces into the water. When they rise to the top (should take 20 -30 seconds) remove them with a wire mesh skimmer. Arrange the asparagus pieces in a small bowl. Squeeze fresh lemon on them if desired. Cut a fresh piece into small sections, skin on. Top the asparagus with one or more peach sections.